At Prosperity Names we are experts at determining which business name idea provides you with the maximum opportunity for financial success in business. Everyone wants a huge profit but which business name give you this chance? Below you will find a list of almost 400 free business name ideas. 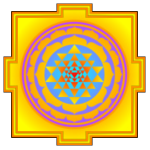 All of the names have a mathematical value that is designed for success in business based on the science of Yantra Yoga, the original form of numerology. You are more than welcome to use any of the names if you want. However, in all honesty, although this is a big list of free names, chances are you may not be able to use any of them simply because they may not relate to your business. Nonetheless, at the very least, the free business name list will help stimulate your creative juices. If none of the names below are suitable for you then try our sample "Business Name Idea Review" tool. When you purchase our fully functioning "Business Name Idea Review" tool you will discover if your business name idea has a mathematical value that is ideal for success in business. When you know exactly which business name idea has a mathematical value for success in business, then it will help bring total clarity to the process of choosing a business name.